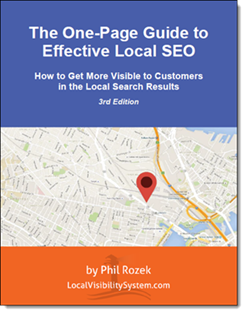 If you give a hoot about your business’s online reviews, you’ll want to pick up a copy of a great book that just came out today. As the name suggests, Five Stars is all about reviews – particularly “local” reviews (Google+, Yelp, etc.). 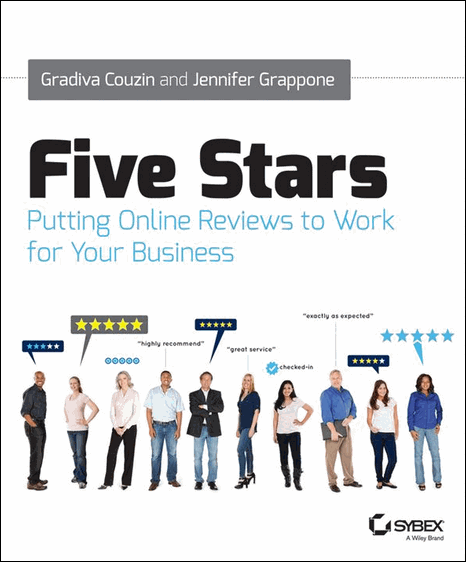 Five Stars was written by Gradiva Couzin and Jennifer Grappone – the two super-sharp gals who wrote SEO: An Hour a Day. They’re well-known SEOs and experienced marketers…and easy-to-follow writers. It’s published by Wiley/Sybex – the same crew that brought you heavyweights like Avinash Kaushik’s books on Google Analytics and Brad Geddes’s Advanced Google AdWords. Like those, Five Stars is a definitive field guide. I can say from first-hand experience that Gradiva and Jen nailed the approach you need to take if you want more and better reviews: I was the technical editor for the book. You might find a Phil fingerprint or two. Do let me know how you like Five Stars (and how you like your reviews). By the way, feel free to ask me any questions you might have, or to offer a suggestion on the book. Just leave a comment!